If you’re looking to cozy up with family and friends this holiday weekend, this is the perfect warmer to make for a large group. 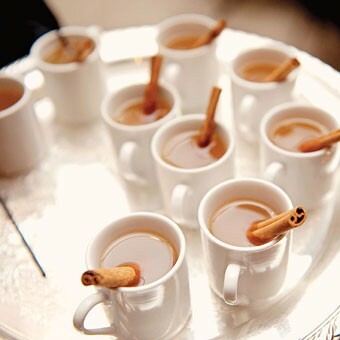 Heat the apple cider slowly over medium-high heat in a large saucepan until soft bubbles form on top. Add cinnamon sticks and maple syrup to taste. Reduce the heat to low and allow the cider to simmer for about 10 minutes, stirring occasionally. Stir in bourbon and apple brandy to taste. You should be able to taste the warmth of the alcohol but also easily identify the sweetness of the maple syrup. Pour into heatproof mugs. Next Post Happy Repeal Day!